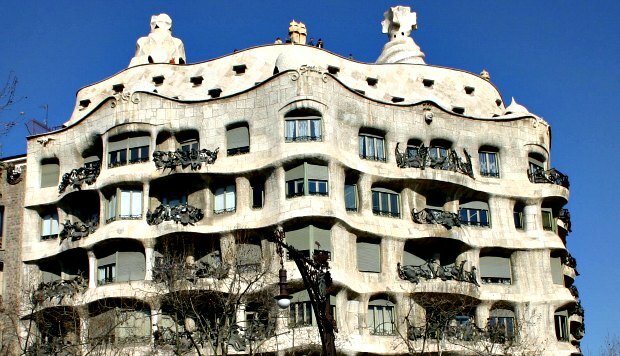 Casa Mila, which is also known as La Pedrera, is a brilliant example of the quirky architecture of Antoni Gaudi. His buildings have pride of place in lots of locations around Barcelona and this one, which was created as offices and apartments, is well worth seeing. Gaudi preferred natural shapes to hard edges and this building really shows that off. The best bit by far is the roof top, which you can walk around, because nobody designs chimneys like Gaudi! There is also a museum inside too. The museum is basically one of the apartments which has been laid out and furnished just like it would have been in Gaudi’s time. The design of the whole building is so striking because of its curves and these continue inside. Most of the rooms don’t have any straight walls at all! 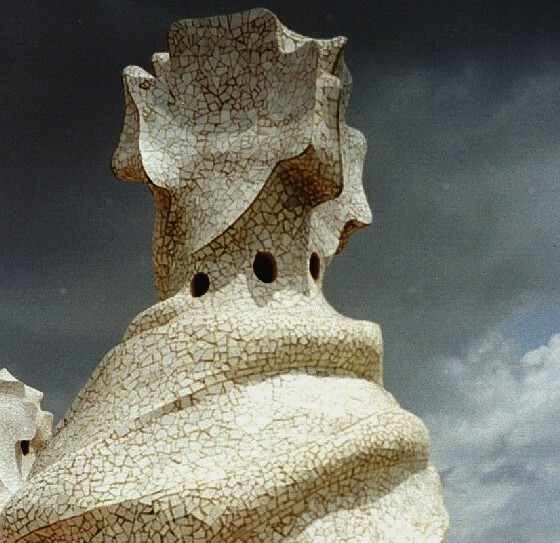 We recommend you allow 2 hours for a visit to La Pedrera (Casa Mila) but there are sometimes queues in peak holiday times, so be prepared to wait a little. 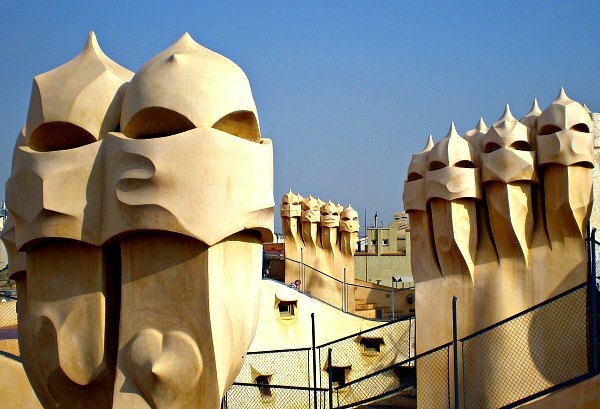 Casa Mila is one of the stops on the top-rated Barcelona Half Day Sightseeing Guided Tour. Casa Mila is open daily in the winter from 9am – 6.30pm and in the summer from 9am – 8pm. Admisson is 20.50 Euros per person (2014 prices). There are now a range of night-time visiting opportunities too including a tour with dinner. Address: La Pedrera (Casa Mila), Passeig de Gracia 92, Carrer Provenca 261, Barcelona, Spain. Nearest Metro stop is Diagonal.